Then we discovered that social media is affecting our sleep patterns and that Facebook can actually harm new relationships. The omens are not looking good for the world’s most popular website. Now, new research shows that the more we use Facebook, the worse we feel about ourselves. Far from helping us feel positive, increasing Facebook usage makes us feel negative. The new study, like many others that focus on Facebook, does have flaws. It asked, for instance, how people felt after using Facebook and then concluded that Facebook usage leads to decline in happiness. What the study did not find out is whether a similar decline in happiness occurs after other social situations. Do people feel less happy after a night out with friends, once they are home alone afterwards? We may well find this also occurs and that far from being a problem with Facebook it is an issue with all social activity. However, this new study did compare the impact of Facebook with “direct” interactions between other people and did find that Facebook alone caused an issue, whereas other direct activity did not lead to negative feelings. So this suggests that negative feelings do not occur after ordinary social activity, putting the blame firmly in the camp of Facebook. Indeed, there is now growing evidence that Facebook does have the potential for psychological difficulties. It means that just as in everything else in life, a balanced approach is required. 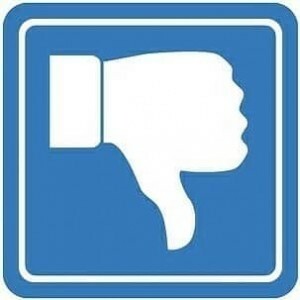 Overuse, over-reliance and over-rating the benefits of Facebook could be the root of problems. That’s why it is essential to have a routine – use Facebook at a specific time of day, for a pre-set number of minutes. Then forget it and get on with the rest of your life. And remember – research shows that the business benefits of Facebook only really apply to major consumer brands. If that’s not you, then you can set Facebook aside, concentrate on “real” work and feel happier as a bonus. Very interesting reporting. I also wonder about the addiction and instant gratification Facebook offers and how people equate “likes” to their self-worth or love. I agree that what people need is “real” connection. Just like what Maslow theorized in 1943.